Lets face it - its these guys that make this studio great!! Learn a bit more about our incredible instructors right here! "Try not to worry, starting a new class or hobby can be daunting, but we guarantee you endless fun in class!" What classes are you trained to teach? I teach a variety of dance styles but i specialise in dances from the loved but by-gone eras including the can-can, the charleston, swing, jive, burlesque, fosse jazz, and showgirl-cabaret style. What’s the highlight of your fitness career to date? Performing and selling out shows with my troupe The Flaming Feathers up and down the country, highlights include Blackpool Tower Ballroom, Koko London, Pinewood Studios, The Royal Navy, The Household Cavalary, working with the BBC, to name a few. What made you decide to be a group dance / fitness instructor? Ive always loved to dance, and been passionate about dance, and sitting behinde a desk 9-5pm was killing my soul, i left my office job 8 years ago and havent looked back since..
What makes your classes special? There are no other companies in the UK, or the world (to my knowledge' offering what the Showgirl Academy does...we are totally unique, and proud. "No inhibitions, let go, jump around, improvise, enjoy!" I couldn't find any instructors around with the energy and skills I needed to stay motivated, so I decided to start teaching my own classes. Are you a full time Dance / Fitness instructor? What else do you do? I'm a part-time Zumba Instructor, part-time Fitness Instructor, part-time Basketball Official, part-time Translator and part-time Resource Coodinator. Me! Not joking. I have some kind of supernatural energy and enthusiasm that's contagious to everybody around. Its people, its festivals, its urban art. Are you currently working towards a goal? Professionally qualified dance teacher and Pilates teacher. 10 years experience teaching Flamenco. 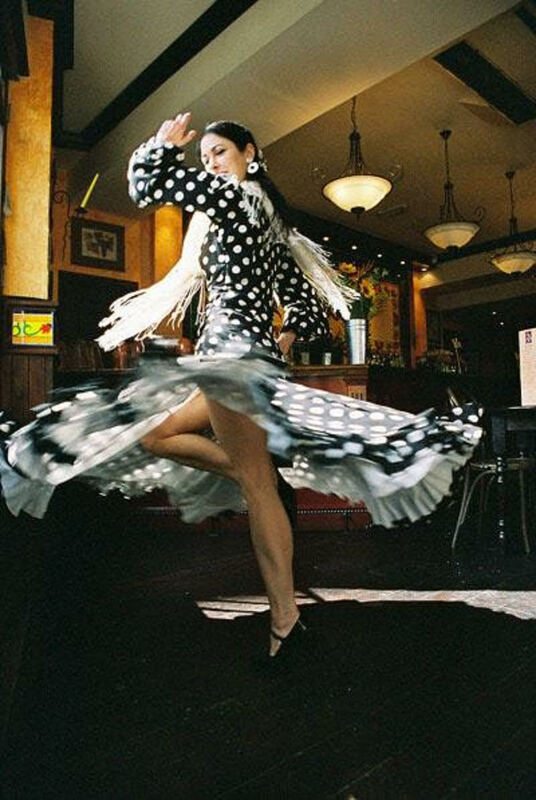 Full-time occupations performing and teaching Flamenco and also teaching classical dance and Teacher-training. "just throw yourself in, if you’re unsure just go for it... you never know until you try, and if you don’t try you will always wonder! " What made you decide to teach dance? I decided to become a dance teacher for several reasons. I am and always have been extremely passionate about dance and have worked professionally in music videos, fashion shows etc for years now but I have always loved being taught and teaching. There is something very special about teaching someone to dance, whether they are a professional or not, the process is always very rewarding. The influence a good teacher can have on a persons path in life is remarkable. I recall several brilliant and talented teachers that shaped me profoundly due to their passion and understanding for their craft and their willingness to pass on their knowledge. I am originally from Bristol and looking back on my training, I know, at a young age, I would have deeply benefited from a commercial training program. With the the way the commercial industry has grown, the prospect of providing commercial training really is the key to success for dancers nowadays. I wanted to provide aspiring dancers in the Bristol area the chance to train professionally without having to travel up to London. Are you a full time dance teacher? What else do you do? I teach here at motion studios three days a week, I also have regular clients for my personal training business and I still perform in the commercial industry as a dancer and model in music videos, concept pieces, hair shows and fashion shows. .
Where are you from? Tell us a little about your hometown. I am Bristol born and bred, from a little place called Longwell Green. I loved growing up in Bristol, it’s an awesome city, I spent several years living and performing in London to hone my craft. That tenure gave me some great connections and fantastic opportunities in the dance world and it’s those that I bring back with me to aid my teaching here. The studio is the perfect spot for Hen Parties. 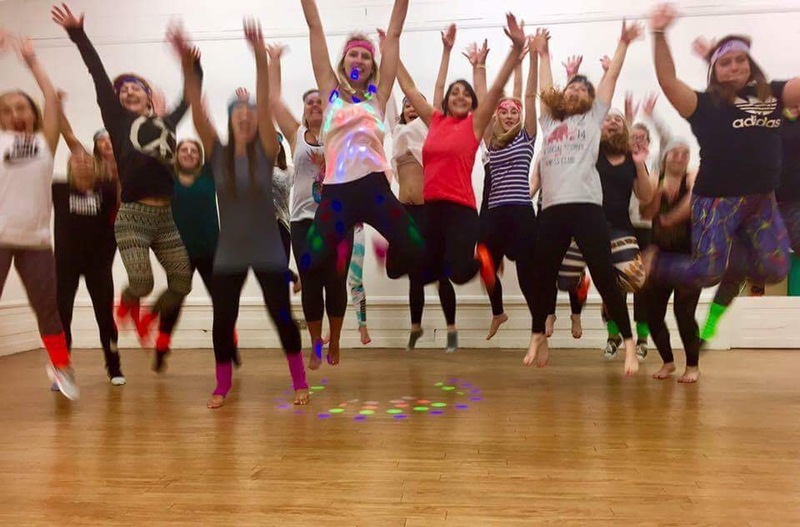 Whether you are a group looking for a company to run a dance party for you or an instructor looking for studio space to accommodate your hen parties be sure to get in touch! If you are ready to book pop over to our online booking system and secure the perfect time! The studio is accessible 7 days a week 6am-10pm. Parking is available on street or at the NCP located directly opposite the studio entrance. If you are an instructor and would like to add your class to the timetable please contact us here and we will be in contact soon!